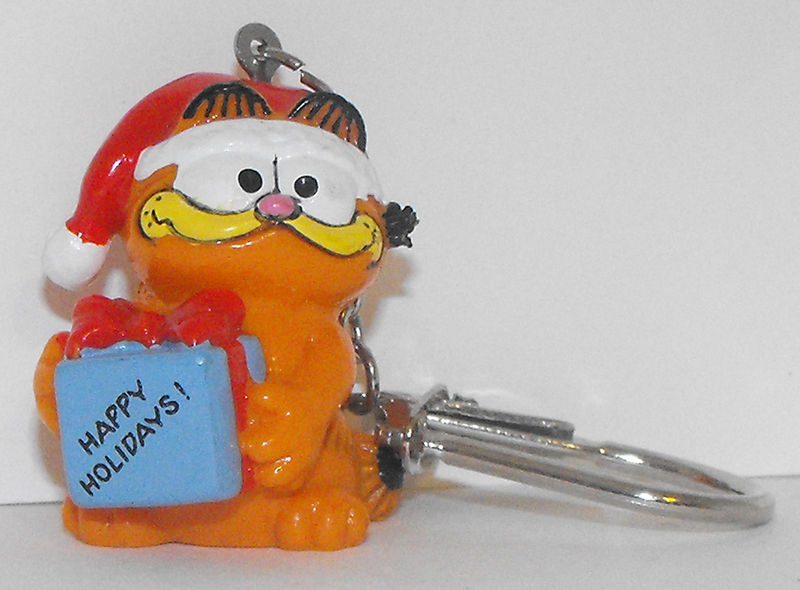 Christmas Garfield with Present Figurine Key Chain (Happy Holidays), about 1 inch tall. This figurine is vintage, brand new and never used. This figure is made of plastic and the keychain part is made of metal. It comes loose without any packaging or tag.